As I type this, it’s Valentine’s Day night. My husband gave me a box of Godiva chocolate, and I gave him a card with foxes on the cover (his favorite). My family went to church this morning and sang songs about God’s love, heard a sermon about perfect love, and the kids came out of Sunday School with boxes of conversation hearts that had a sticker on it with verses about God is Love. Now we’re getting snowed in and school has already been canceled for tomorrow. All in all, it’s been a good day. But, not everyone had a wonderful Valentine’s Day. And, I’m not talking about the single friends out there who don’t have a Valentine. I’m talking about the scores of wives who feel unloved this day. While the Bible commands wives to respect their husbands, it commands husbands to LOVE their wives. On this day of love, a wife shouldn’t be left in tears, feeling unloved. Social media seems to be filled with bitterness, hurt, anger. Long ago, I used to roll my eyes at women who cried over the fact that their husbands didn’t get them some gift on Valentine’s Day, or their husbands didn’t take them somewhere special, or their husbands didn’t shower them with praise and affection. I didn’t understand how the lack of a gift on a fun silly day filled with doily hearts and chocolate frosting could possibly matter. 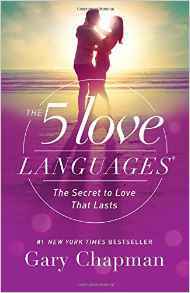 Then, I read Gary Chapman’s The Five Love Languages. One thing I took away from that book was absolutely how to love my husband in the way that HE understands love. I learned how to love my children in the way that they feel love. And, the next time a holiday like this one rolled around, I had an “AHA!” moment. So, for instance, if your husband’s love language is physical touch, and you cook and clean and iron his clothes with loving attention, plan fun dates, tell him how much you respect him, and pick up little things that make you think of him — and yet don’t reach out and hold his hand or stop him for a hug, he is actually going to feel unloved — even though you’re showering him with love. 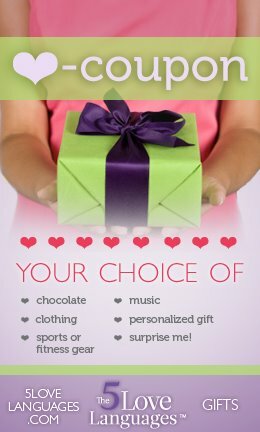 If your love language is receiving gifts and your husband rubs your feet, helps you with household chores, takes you to an amazing dinner date, and writes you love notes but doesn’t give you a gift, you’re actually going to feel unloved, even though your friends might be envying the love showered on you by your husband. Years ago, my husband and I read The Five Love Languages out loud, together. He immediately knew his love language – physical touch. I’m not a natural toucher. In fact, at the time we read it, I had had been a nursing mother for over three years (As my 2-year-old weened, I gave birth to his brother). There were days when being touched any more by another person was the last thing I wanted. I learned to realize that I needed to touch his hand or scoot closer to him on the couch so that he would feel my love. That book had such a profound affect on our marriage and the way we “speak” to each other that we now give it as a gift to every couple we know who are getting married. It’s that profound. I also use it as a way to get to know my characters. I don’t want all of my heroes to speak “Physical Touch” and all of my heroines to speak “Quality Time” as a mirror to my husband and I — I want them to be who they are, so I pay attention to love languages as I’m writing and make sure that actions and reactions fit each character’s individual personalities. Communicate by encouraging, affirming, appreciating, listening. How to do it: Send a note, or a text, or a card. Encourage with your words as often as you can. What to avoid: Non-constructive criticism, not recognizing/appreciating an effort made. Communicate by helping. “I’ll help with…” Let them know you’re there partnering with them. 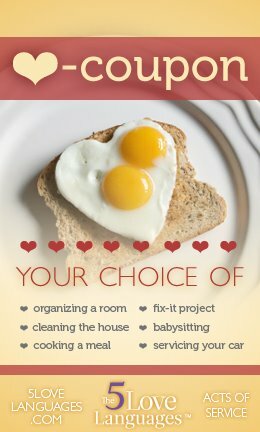 How to do it: Do chores together, make breakfast in bed, go out of your way to help alleviate a workload. Things to avoid: Making the requests of others a higher priority, lack of follow through on tasks. How to do it: Give gifts whether it’s a special occasion or not. If something reminds you of them, pick it up, even if it’s something small. 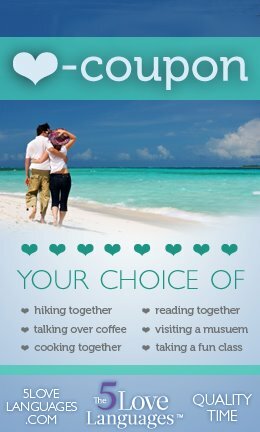 What to avoid: Distractions when spending time together, long stints without one-on-one time together. 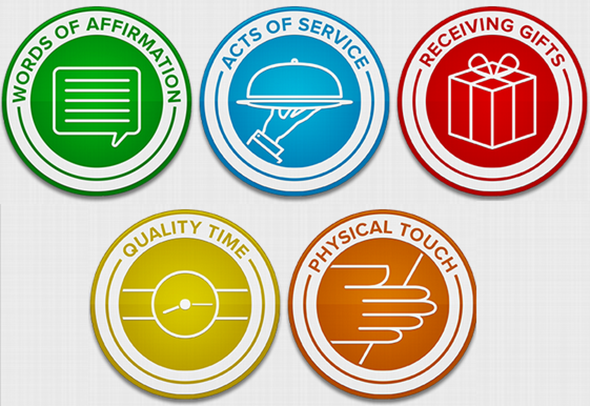 Do you know what your love language is? Do you know your spouse’s love language? If you don’t, I highly recommend reading the book together and discovering just how you can thoroughly show your spouse your love! I hope everyone reading this had a wonderful Valentine’s Day and felt very loved and respected. Thanks for your inspirational concise blog about how we perceive love. While love is a choice, we need to be mindful of how others perceive this love. Thanks for the reminder. If one feels uncomfortable discussing this with a spouse or friends, the blog will help to identify other’s love language. Most misunderstandings are usual because we do not put ourselves in another person’s shoes. Let us love the Lord your God with all your heart, mind, and soul; love your neighbor as yourself. My husband’s love language is physical touch. Mine is gifts. My practical husband has a hard time sometimes, but he came through yesterday. :D He gave me a grown-up coloring book and a set of 48 gel pens. I can’t wait to color. In a world where everyone seems glued to their iPhones and unable to unplug, quality time is our favorite. I’m such a fan of this book. When I talk to friends I realize the biggest mistake, and I’ve fallen for it as well, is we operate out of our language, not theirs. I am convinced if every engaged and married couple read and used this book, marriages would be full of oneness and not isolation. This book has positively affected our marriage, as well, and I’ve given it as a wedding shower gift quite a few times. Thanks for the needed reminder! I need to re-read the book again! My husband and I also read this book years ago when our children were little. It was really an eye opener to see what each of our languages were. I once heard a speaker share that when you’re trying to communicate in your language but not the other person’s it’s like going through the drive though to order a burger…you hear the other person, but really can’t understand them or what they’re saying. You get frustrated and often are not given what you want. Hallee, Thanks for sharing this reminder! I did not know about love language until my daughter in law said, I guess your love language is gifts. Idk what she was talking about but after she explained, she was right. What a useful post, Hallee. Thanks for including the details about the love languages. We took that test years ago & I learned that my husband needs physical touch and words of affirmation. Two things I’m not “natural” in….lol! So I began to work on those two things, I found it doesn’t have to be anything big….just grab & hold his hand as we’re sitting together on the couch, brush his arm he walks by, tell him I love him, or a simple thank you for doing something for me, or barring vocal words, write a little love note tucked somewhere he will be sure to find! He seems to really appreciate that and I like knowing I’m the one who put that smile on his face :-) On the flip side, he’s much better at showing his love to me in a way I understand. We’ve worked together to make sure the other knows our love is still strong! I’ve even gone as far as praying God will show me ways my husband needs to know I love him, and He does…..much better than my own ideas sometimes…lol! My husband loves the simple things and I’ve gotten better at it…it’s a win/win for us both! 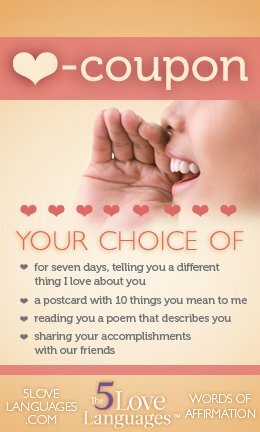 This is my favorite relationship book, although designed for couples it works great when you identify your kids love languages or your friends. God has used this book powerfully in my life and it’s the book I recommend most often and give as a wedding present most often. Thank you for not only listing the 5 love languages but giving great examples of what that looks like in a relationship. My love language is gifts. Some think that is terrible or greedy but for me its that fact I was thought of or remembered that is meaningful. What an interesting post. I don’t really know what my love language is. I’m a little bit of all of them. I’m sure the book would help and will look into asap. And I’m also really, really hoping that my husbands is NOT quality time because lately he gets next to none with the busy schedule I have going on right now. Thanks for the post. What a great post! It makes so much sense!! Have a great rest of February!! I absolutely loved the post . We each have ways that make us feel loved. For me it’s hearing how appreciated I am or a thank you for doing something . For my husband its quality time. He works so hard and sometimes feels he needs to always be doing something in order to feel good about himself. When we spend time together he loves to just hold my hand and sit and relax. Thanks for your post. Excellent post! I’d say mine is Words of Affirmation.